45 people gathered in Perth on July 24 to express solidarity with a group of young people who were victims of an Islamic State suicide bombing in the Kurdish town of Suruç on July 20. SGDF activists in Suruç momements before the blast. The three women pictured were killed in the attacked. They are sisters. One month after Turkey’s June 7 parliamentary elections, the country still does not have a government. Ahmet Davutoglu of the Justice and Development Party (AKP) remains caretaker prime minister. President Recep Tayyip Erdogan remains the dominant figure in the AKP and is manoeuvring to retain his party’s leading position. The president is supposed to be an impartial figure above party politics but Erdogan pays scant regard to such constitutional niceties. YPJ fighters defending Kobanê, June 26. Photo: ypgrojava.com. The “Islamic State” (IS) terror group attacks in Tunisia, Kuwait and France have grabbed global attention and condemnation. But the group's attack on Kobane in Rojava (Syrian Kurdistan) — and the fierce resistance — has been largely ignored. Turkish-backed terrorists have massacred civilians in Kobanê. Photo: Kurdish Resistance & Liberation/Facebook. The Kurdish town of Kobane in northern Syria was attacked on June 25 by forces from the self-styled Islamic State (IS) terrorist group, which crossed from Turkey. This was the first significant IS attack on the town since a five-month siege was repulsed in January. The attack appears to be a Turkish-backed response to recent military gains made by the Kurdish-led forces of the Women's Defence Units (YPJ) and People's Defence Units (YPG). 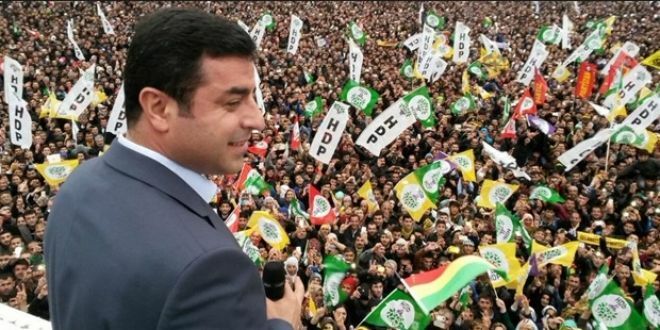 A delegation of six elections monitors sponsored by the Peace in Kurdistan Campaign to observe the June 7 Turkish election witnessed a stunning result took the left-wing Kurdish-based Peoples Democratic Party (HDP) into parliament for the first time. One of those injured in June 5 bombing of HDP election rally casts their vote.